Lately, I've been craving Fall weather fashion. But living in southern California, it's hard to dress for Fall because the temperature still remains really warm. Most days I just wear fall layers (like a light jacket or sweater ) tied around my waist. When it cools down in the evening, I add the layers on. Somehow I manage to get that Fall weather feeling even though it's not really cold yet- I'll take what I can get. 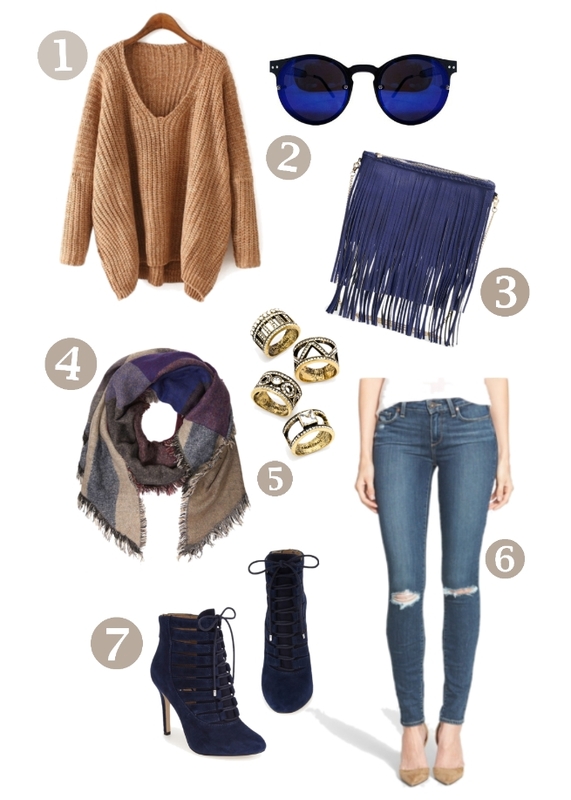 Loving the camel sweater, such a luxurious color for the fall! I completely understand your struggle, I live in AZ!